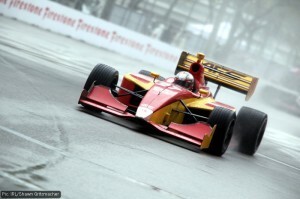 The F1 hopefuls in the GP2 feeder series must wait until May to launch their campaigns for this season. But, over in the States, their counterparts in the Firestone Indy Lights championship have already begun their bids to prove themselves worthy of the top-flight IndyCar Series and the Indianapolis 500. 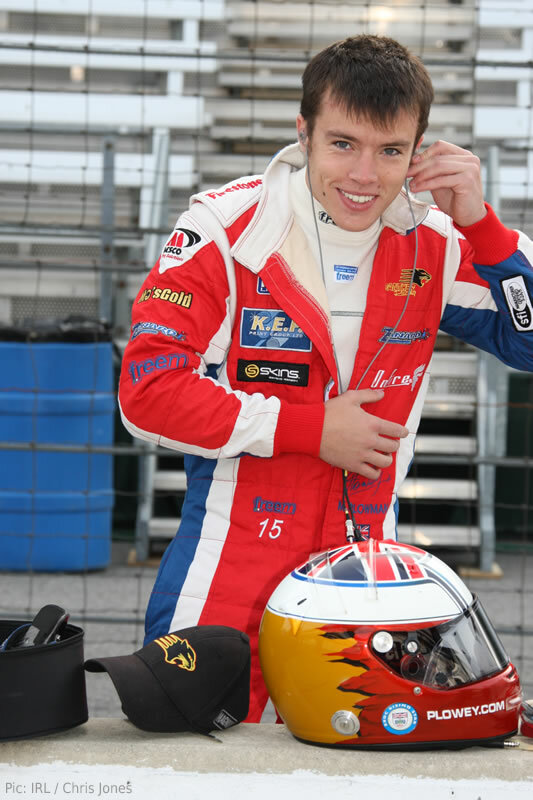 Among the front-runners will be Martin Plowman, a young British driver with the opportunity to follow in the footsteps of IndyCar stars like Dario Franchitti and Dan Wheldon. His prospects didn’t always quite look so bright, however, as he told Brits On Pole during the run-in to the season opener last weekend. He explains how hard work and commitment have turned his career around. Two years ago, things were looking bleak for Martin Plowman. Cast adrift from the Toyota Driver Development Programme and with very limited options for the 2008 season, he feared his career was losing momentum. A late deal to run in the F3 Euro Series, scrambled together through Volkswagen’s junior programme, did little to help. Trying to lift a new team of talented but inexperienced personnel was not the recipe for good results. Not so these days, where the popular 22-year-old from Burton upon Trent is rapidly becoming a fixture on the American open-wheel circuit. 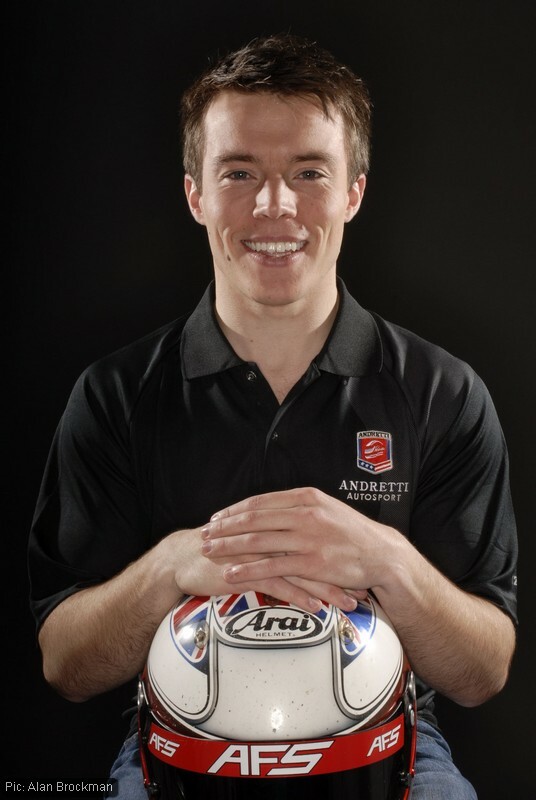 Newly-signed to the defending champion Andretti team in the Firestone Indy Lights series after a promising opening year with the Panther Racing squad, he has been chosen by the parent IndyCar series as one of its promotional pace car drivers. This makes him one of its public faces for sponsors and at live events. He’s even – somewhat to his surprise – found himself dating a beauty queen. All in all, it’s safe to say that Plowman is not among the dwindling band of European drivers who share the view that racing in America is a last resort, only to be contemplated when all hope of Formula One is gone. A year later, with the two rival championships now integrated, it was time to move. The crucial contact came from a mutual friend of Plowman and British driver Dan Wheldon, who was then on the verge of joining Panther Racing’s IndyCar team. 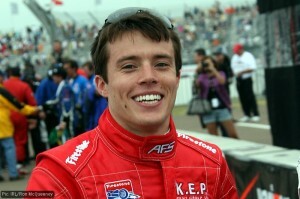 Plowman said: “At the time he was still with Ganassi and considering his move to Panther. He said ‘there’s an opportunity to test for Panther’ and they invited me to Sebring testing at the end of ’08. Plowman has committed himself to racing in the US, with all its attendant razzmatazz. Photo: Alan Brockman. Panther were known as specialists in racing on ovals, with an acknowledged blind spot over how best to set up a car for racing on the road and street courses that are increasingly shouldering the ovals out of the IndyCar and Indy Lights schedules. By recruiting Plowman and fellow Brit Pippa Mann to their Lights team, Panther hoped for valuable information on how to improve in that area. In return, they would teach their new recruits how to tackle the alien environment of oval racing. He picked a good one for his first experience – the 2008 IndyCar season finale in which Helio Castroneves needed to win and also gain the bonus points for leading the most laps if he was to have a chance of overhauling Scott Dixon for the championship. Despite starting last, he achieved his goal – but he also needed Dixon to finish worse than eighth and the New Zealander raced him side-by-side at over 200mph for lap after lap, declining to play safe and instead fighting for the win. Castroneves won the race, Dixon the championship, and the watching Plowman was an instant convert: “The first time they went three-wide I thought: ‘Heck yeah, I want to do that’. And after that, things seemed to move along very quickly. Now, with a year’s experience under his belt, he’s used to the radically different approach to racing an oval requires, and the versatility needed to compete across a season made up of short, fast ovals, longer more gruelling ovals, smooth European-style road courses, and bumpy temporary street or airport courses. Unfortunately for Plowman and Mann, there was no sniff of the championship during the 2009 season. Although the team made it through the year in a series where car count almost halved between the first and last races, there was little else to celebrate and Panther closed its Lights program at the end of the year. Despite this, after a rocky start to the year, Plowman found some satisfaction in the team’s later improvement: “For me the biggest high point was being able to help the team get back to competing for the top five on road courses. “I truly enjoyed the racing aspect of it – the last race of the year was my favourite, we started at the back and worked our way up to seventh. Also qualifying in the top six at Long Beach, where we were fighting for the pole for most of the time. “Obviously, in every season there’s always low points too. The thing I look back on and wish I’d done differently was to be patient. I went into the first couple of races expecting to win and win at all costs and we didn’t quite have the package to do that. He also caught the eye of other teams. AFS Racing/Andretti Autosport, which fielded the 2009 champion and third-placed Indy Lights drivers JR Hildebrand and Sebastian Saavedra, swooped to sign Plowman before the off-season had even begun. “We had several opportunities to race in the IndyCar Series this year but I believed I had to get a strong year in Indy Lights first. Since leaving karting – that was great, but ever since then and since leaving Toyota my career’s seemed to lose momentum. “We came to America with Panther, a decent team, and I wasn’t 20th any more, I was competing for the top five. And then the chance came to join Andretti. Based on having a year’s extra experience and with arguably one of the best teams I should be a front-runner – but it’s still down to me to make it happen. In the first race of the season, held last weekend at St Petersburg, what fate sent was a torrential rainstorm that saw the field scurrying into pit road after six laps to fit rain tyres and sit out the worst of the weather. Plowman had set the fastest time in practice, but was obstructed by Saavedra’s spinning car before the rain break and was hampered after it because his team had not been able to convert the rear of his car to a wet-weather set-up before racing resumed. With four correct tyres and a wet set-up at the front, but a dry set-up at the rear, he was able to hold sixth place but could not progress further. “I was hanging on to the rear once the tyres lost their edge – I needed flotation devices at the end,” he wrote later on Twitter. That ambition hints at one of the most memorable experiences of last year – the Month of May and the Indianapolis 500, where the Lights drivers compete in a warm-up event. The main race is something he’s greatly looking forward to taking part in when the time is right. And the attraction goes beyond just race day itself. “It’s crazy how passionate the people of Indianapolis are about the 500,” he said. “The very mention of it, you see people’s faces light up. ‘I was there in 1950-whatever…’ and they’re rattling off all this history. It means a lot to them and it’s really cool to know that one day hopefully I’ll be part of that history. Clearly committed to his American adventure and determined to approach it as professionally as possible, Plowman intended to avoid anything that might distract him from his career goals. It was a plan that lasted until the Mid-Ohio race in 2009, a birthday party at a camp site, and a girl named Nicole. They got chatting, first at the party and then on Facebook, and it wasn’t until later that he discovered she was the reigning Miss Indiana, Nicole Pollard, who had been invited along by a PR contact after an appearance at a local hospital. “At the time I didn’t know who she was,” he reflected, admitting that if he’d realised she took part in beauty pageants – a notoriously stand-offish occupation – he probably wouldn’t have spoken to her. But by the time he found out, he already knew enough to see past that image. Far from distracting him from his ambitions, it turned out the music tutor, pianist and singer was as professionally-driven as him. 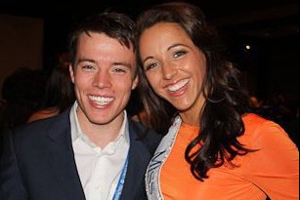 The pair have formed a formidable team, she supporting him at races and in promotional work, while he travelled to Las Vegas with her as she made the last 15 in the Miss America contest. He said: “I was very cautious, but we’ve got lots of things in common and we clicked very well. She’s been a huge support for me. 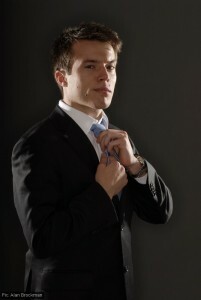 But the glittery world of beauty pageants was not allowed to distract him from the serious business of racing for long. Having experienced what it feels like to know a career might be slipping away, Plowman is determined not to be in that position again. And his advice to up-and-coming drivers is to understand the need to work as hard off-track as on. “We’re in the entertainment business and we’ve got to give something back. Nobody’s going to sign a blank cheque to let you go out and have fun. The sooner you know that, the sooner you’ve got a chance to go out there and make it happen. “You’ve got to get out there to corporate events, social get-togethers. You never know when you’re going to get that chance meeting with someone who’s going to be able to become a partner. Categorised under Firestone Indy Lights, IndyCar Series, tagged under Firestone Indy Lights, Indianapolis 500, IndyCar Series, Martin Plowman, Nicole Pollard.